Ah, we love a good pun although we probably have you asking ‘What the Freekeh is that?’ well don’t worry, make yourself a nice cup of green tea and we will tell you. Freekeh is the next super food that you need to know all about. Put the Quinoa down guys, finally we have something better which is a lot easier to pronounce. Freekeh (literally pronounced Freek-eh) is the ‘new’ ancient grain. Sometimes referred to as Farik it is a wheat that’s harvested while young and green. Roasted over an open fire, then the straw and chaff are burned and rubbed off. The grain on the inside is too young and moist to burn, so what you're left with is a firm, slightly chewy grain with a distinct flavor that's earthy, nutty, and slightly smoky. It would go well with the earthy flavours of a beetroot salad. Where is it from? It’s pretty much a staple food in Palestine. But you can find it across most of the Middle East. So, you are going to feel fuller for longer which is great for those watching the waistline and if you are looking to keep your blood sugar levels steady then it’s a great choice as it is lower than its grainy compadre on the glycemic index. 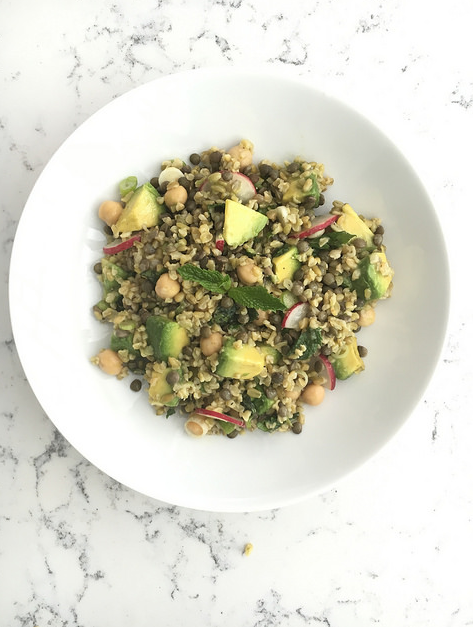 It doesn’t stop there, Freekeh acts a little like a prebiotic helping good bacteria grow in your digestive system and will boost your iron, calcium and zinc levels too. You’ve just thrown the Quinoa in the bin haven’t you? So, what the freak do you do with it? You can follow this fantastic recipe for a start. Mix together the breadcrumbs, cooked Freekeh , peanut oil, crab meat, snapper, red onion, egg yolks, tabasco sauce and Dijon mustard. Season with salt and pepper. Beat the egg whites until they form a soft peak. Fold the egg whites into the crab mixture, then form into 10 3 inch diameter patties. Fry the patties in hot oil on both sides, then finish cooking in an oven. That was simple wasn’t it. If you want to complicate it you could make your own Aioli or, just dip them into a sweet chilli sauce! Try adding some Freekeh into your life and never stumble over how to pronounce quinoa ever again.